If the browser wars were not enough, we are now entering into a new phase of computing. More competition, more choices, better for consumers. Google Chrome has always been a little more than a browser: it's optimized for running web applications, each tab runs as a separate process, the interface is minimalistic and there's even a task manager. Google says that the OS, which will be released later this year to developers, is designed primarily for netbooks but not limited to them. Then in 2010, it expects it will be available to consumers. 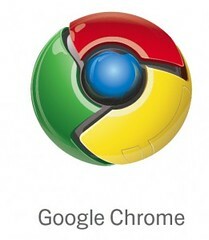 Google Chrome OS will be an open source, lightweight operating system. Speed, simplicity and security will be the key aspects of Google Chrome OS. The user interface will be minimal so as not to get in your way, and most of the user experience takes place on the web. Not so much of a good idea for us in Bandwidth Challenged countries like South Africa, where Internet Bandwidth is still very expensive. Google Chrome OS is not to be confused with Android.Google Chrome is a new project, separate from Android. Android was designed from the beginning to work across a variety of devices from phones to set-top boxes to netbooks. Google Chrome OS is being created for people who spend most of their time on the web, and is being designed to power computers ranging from small netbooks to full-size desktop systems. Is this another flexing of the muscles by the internet giant. Are we seeing a fresh new turf war being laid out. A few years ago the internet, browsers, operating systems, news were dominated by Microsoft. Now that decent competition is arriving, will we see the playing fields levelled. The announcement also means that Google is flexing their muscles against Apple. Google competes by pushing its own browser against Apple, its own phone OS against the iPhone and now an operating system. We were just getting started on the resurrected browser wars with IE, Firefox, Chrome, Opera. Then it was the turn of the search engines, with Bing, Google Yahoo. Now it seems that Operating Systems have their challenges as well, with Google Chrome OS, Linux and the variant forms of Microsoft OS. The question you have to ask though, is Google up to the task? Microsoft has years of Operating System Development experience behind them. They have jumped through hoops and hopped over hurdles, conquered obstacles that Google are yet to face. Microsoft have years behind them of bug fixing, improving and generally brand building behind them. Google is a search engine giant, Microsoft is a Software giant. Why are they stepping on each others toes? I dare say that this could be good for consumers. We will have a bigger choice. That being said, I still believe that Microsoft will dominate the software industry, including Operating Systems, and that Google will still dominate the search engine industry. All very exciting don’t you think? It'll be interesting to see what happens. I remember when Chrome first came out, people jumped ship from Firefox. But now the ones I know of have mostly jumped back to Firefox. However, this is different, with the smoldering hatred of of all things Microsoft, this operating system may take off. Lol! It was always pretty obvious when Chrome the browser came out that Google had something up their sleeve and now we know what. I'm excited by this but a Chrome powered netbook won't sync my Nokia PC suite, run some vital apps that link my smartphone with my desktop, etc.